Real-time data about snow and road conditions is fed into Operations Dashboard for ArcGIS. Prince George’s County, Maryland, bustles with traffic. It’s no wonder, being home to nearly 900,000 people, government facilities such as Joint Base Andrews, and major football and shopping venues. Many residents commute to jobs in nearby Washington, DC on weekdays, and on weekends, they drive to FedEx Field to see an NFL game or the National Harbor complex to shop. But during a snowstorm, commuter and other traffic can grind to a halt. Plows need to quickly get onto the county roadways to clear the hardest-hit areas. That’s where GIS comes in. To speed up the process of coordinating where to send snowplows and salting trucks, the county’s Department of Public Works and Transportation (DPW&T) teamed with Esri and the consulting firm Whitney Bailey Cox & Magnani (WBCM) to set up a real-time, GIS-based snow operations monitoring system. 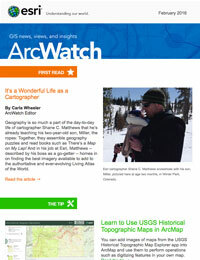 The team implemented a system that uses ArcGIS Online, Collector for ArcGIS and Operations Dashboard for ArcGIS. The system reports observations from snow inspectors in real time and helps supervisors coordinate deployment of snow-clearing crews. The county manages 2,000 miles of county roads, a network divided into five districts. When it snows, 25 inspectors (five per district) report the conditions along the entire road network so that snow operations managers can coordinate snow removal. A map of all five districts appears on the dashboard, giving snow operations managers the information and view they need to prioritize and direct snow removal. Inspectors in each district drive through their jurisdictions and report on snow conditions using Android tablets loaded with Collector for ArcGIS, a simple, form-based mapping app (Collector for ArcGIS is also available for iOS and Windows). They observe and report the road conditions before and after salting or plowing. 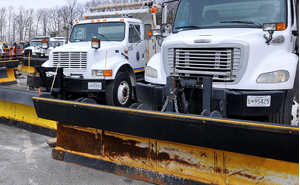 Plows in Prince George's County wait to be dispatched. Each district crew can only see its own road condition feature layer on the map in the dashboard, but all district crews can view emergencies in the emergency layer, such as downed power lines and traffic accidents, since those issues can affect neighboring districts. The dashboard’s map displays snowplow routes and color-coded symbols to denote closed, passable, and clear roads; accidents; and where trees and wires are down. To avoid cluttering the map, data older than 12 hours is filtered out. The team that created the new system also added a widget on top of the dashboard that shows the newest data. 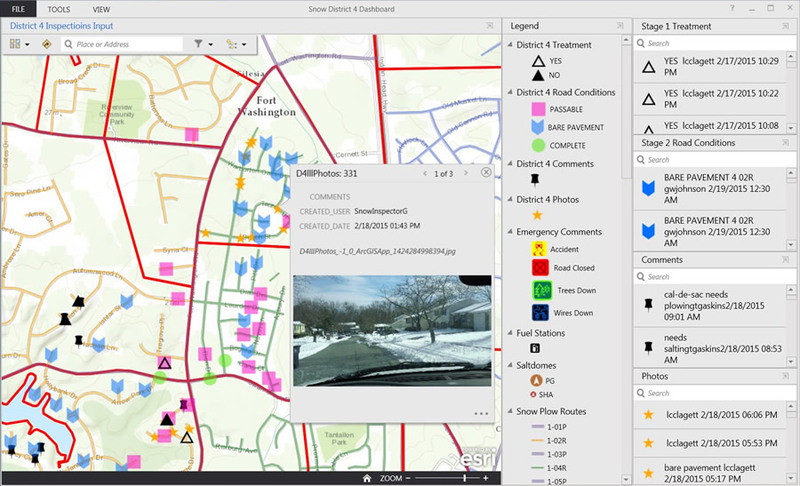 Instantly translating data from Collector for ArcGIS into map layers within the dashboard gave the county the ability to respond to snow emergencies faster than ever before. Snow operations managers can now see updated conditions on maps within clearly labeled, numbered routes. They can prioritize where to dispatch plows and keep the database updated entirely via the map. The new process gave the county a live common operating picture, hugely eclipsing the old analog method in efficiency and awareness of overall road conditions. Schrayshuen was impressed with what Esri technology brought to the new snow removal monitoring system. Adding extra sizzle to the system: the inspectors’ ability to snap pictures of road conditions, which display as clickable orange stars on the map. The pictures serve as empirical proof in case of a mistake in data entry within the app. “Staff love the option of clicking the photograph to verify the road conditions,” Schrayshuen said. Collector for ArcGIS worked so well for snow removal operations that the county now uses the app in other departments. The fire department now uses the app to keep track of where it distributes free smoke alarms. Plans are also under way for field staff from the Department of Environmental Resources to use the app to inventory and assess the condition of storm water drainage channels throughout the county. The Department of Public Works and Transportation acknowledges the following individuals as being key to the successful launch of the real-time snow monitoring system: Darrell Mobley, director of the Department of Public Works and Transportation; Liz Miller, chief of engineering for Department of Public Works; Muralidaran Karuppiah, Claude Hendje, Teddy Hailegeberel, and Patrick Callahan from the Office of Information and Technology; and Marla Johnson, GIS professional, formerly of WBCM. Matt DeMeritt is a copy writer and brand journalist for Esri. 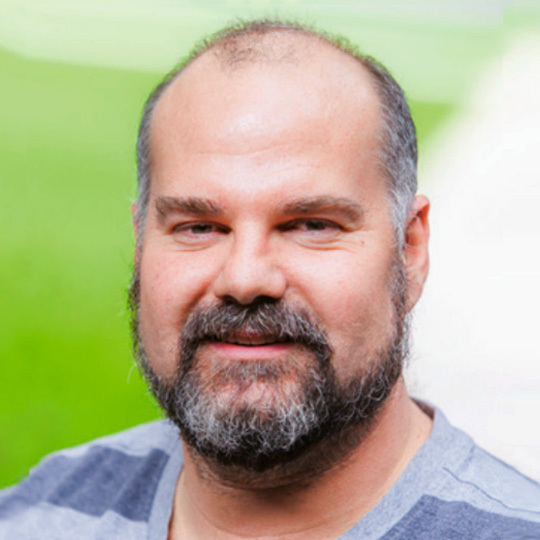 For more than a decade, he has written articles about everything from mapping invasive pests to mapping the moons of Saturn. Prior to joining Esri, he was an English tutor at California State University, San Bernardino.